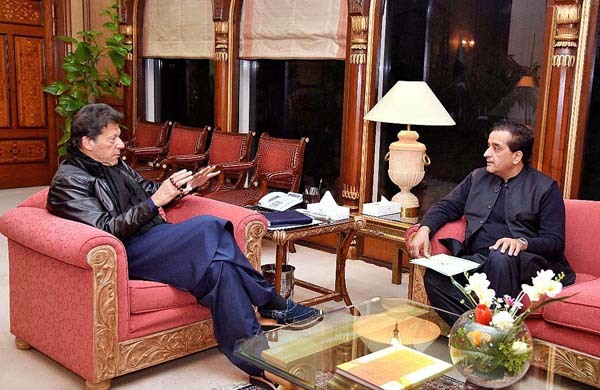 ISLAMABAD, Jan 29 (APP):Prime Minister Imran Khan on Tuesday called for providing all possible assistance and facilities to the low income people in the realization of their dream of having their own house. The project of constructing five million housing units would not only ensure the provision of housing facility for the low income groups but would also run the wheel of economy, besides creation of job opportunities for the youth, he added. The Prime Minister expressed these views while chairing a meeting on the Naya Pakistan Housing Programme here. He also directed for early finalization of laws regarding the Foreclosure and Real Estate Regulatory Authority. The meeting was attended by Finance Minister Asad Umar, Senior Punjab Provincial Minister Aleem Khan, Special Assistant to PM Naeem-ul-Haq, Special Assistant to PM Iftikhar Durrani, Chairman Task Force on Housing Zaigam Rizvi, Yaqub Izhar, State Bank Governor Tariq Bajwa, Secretary Housing Dr Imran Zeb Khan and others. The meeting pondered over in detail the matters relating to secure financing from commercial banks for the low income people in the Naya Pakistan Housing Programme announced by the Prime Minister. The Ministry of Finance and the SBP decided to offer incentives to the commercial banks with regard to financing for the housing programme. This measure was aimed at provision of easy credit for the low income people from the banks so that they could benefit from the Naya Pakistan Housing Programme. The incentives to be offered by the Ministry of Finance and State Bank to the commercial banks would be announced soon.